Frank Gandora training at Hardscape North America. How I deal with the labor shortage while increasing profits and production on the hardscape jobsite. Now that the holidays are past and we look forward to another great year, it’s time to think about what we want to accomplish for 2019. With winter in full force, many of us become complacent in thinking that if we just do what we did in 2018 we should be successful in 2019. How many of us have actually sat down and really put our thoughts to paper to determine what it was that made us successful and what will it take to continue to be successful in 2019. As I sit down and reflect upon this past year, one of the things that sticks out most is the fact that my company like many others has been experiencing a severe labor shortage. The economy is great and things are going well. But, we are hindered by our inability to take on many wonderful and potentially profitable projects that come our way because we just don’t have the manpower. I am sure that many of you reading this have turned away tons of work because there simply weren’t enough people in your company to take it on. 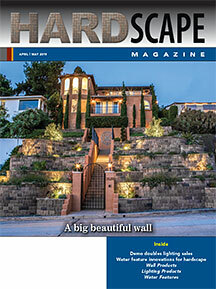 Let’s face it no one is available to do the type of work that we do in the hardscape industry at this time. Despite the severe employee shortage, my company just finished one of the most profitable years we have ever had. As I look back to the pre-recession years, we are currently doing twice the revenue with half the manpower that we had back then. I can assure you this didn’t happen by accident. For years I have been traveling the country sharing my story how I increased jobsite production and motivated my crew to not only perform well on the jobsite but to stay loyal to my company. There are certain key things you need to do to be successful in this economy with a limited labor market. Now, I could try hiring someone for top dollar in hopes that they will be able to install a certain amount of pavers per year or complete a certain number of projects. But, this would be a gamble because more likely than not, they will lack the experience needed specially for installing hardscape. Plus with no track record, who knows if they will be sticking around for the year after next. The bigger problem is, I can’t find that worker no matter what the price because every other industry is competing for the same pool of workers. Let’s face it, our industry involves heavy lifting of heavy objects repeatedly. Why would anyone want to work for a company that demands intense physical labor day in and day out? With that said, if you try to keep your same people yet never focus on training them or investing in the tools and equipment specifically designed for the hardscape industry, you are going to have a hard time keeping them. One of my keys to success is that I focus an incredible amount of time and energy on empowering and training the people I currently have. They know the systems we have in place. They are familiar with the types of projects we install. And, when they are trained and given state of the art equipment/tools that make them more productive with less effort, the payback is exponential. It starts with a plan, a written document. I don’t care if it is written on a napkin. You want to have some type of document that defines what you want to do and where you want to go. Many of you reading this article will spend many hours designing a beautiful landscape/hardscape plan for your client, and never spend a minute writing down and trying to figure out how you’re going to get it installed. Imagine what you could accomplish if you put a plan together for yourself and your company with the same effort that you spend designing just one project? Specifically you want to look at the current hardscape industry and investigate what is being done by industry associations, and other experts etc., and how they address the issue concerning the lack of a qualified workforce. Make a list of all the trade shows and events that manufacturers and dealers are conducting and attend them with key members of your crew. Investigate what tools and techniques are available to increase jobsite production. 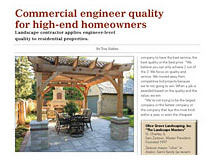 In the last year there have been so many great things that have developed in the hardscape industry to help contractors. Get involved with your industry associations like the Interlocking Concrete Paver Institute. ICPI has more information and resources to specifically help your hardscape installation business than any other organization in North America. Don’t stop there, take what you learned back to your crews and conduct organized training meetings. The first phase of training always takes place in a classroom-type setting. This may be a conference room for some of you, or the lunch room table for others. For me, when I first started out years ago we trained at a Denny’s Restaurant. I would write up notes on a particular subject. I titled it, “This is how we do it,” and I made photocopies for everyone. I took my crew to Denny’s, asked to be seated in a back room or quiet corner and ordered breakfast. Then I passed out my “operations manual” and discussed the directions, procedures and processes we would take on the jobsite. These meetings also provide the opportunity for the crew to share some of the issues they are experiencing on the jobsite when you’re not there, and discuss ways to eliminate issues that slowed down installation and production. We do additional training for the different skill sets and different levels of experience. A second phase of training takes place outside the classroom. This training could consist of many different things such as operation of specific equipment or tools, or the specialized installation of a particular hardscape system. Any time we introduce a new hardscape product, let’s say porcelain pavers for example, we have a special training session. We invite the manufacturers’ rep to attend and help out if possible. We will actually build a small mock-up at our shop. We give everyone a hands-on chance to experience installing the product. This gives everyone the opportunity to experience the layout, staging, installing, cutting methods etc., of the product. We pay close attention to what’s involved and how the crew performs. That way, when an actual job comes up we already have an idea of production rates for estimating. And, we have installation procedures so everyone has a clear understanding of what needs to be done to install the product. This procedure is not different than what any sports team does. They practice the fundamentals first so they can work together as a team and then hone in specifically for whatever team they will be playing next. Training is critical. But, you are missing out if you don’t use the tools and equipment specially made for the installation of a paving stone system. It was this combination that allowed us to earn twice the revenues with half the workforce of years past. I can tell you from experience that the tools you use for your landscape installations are not as practical and efficient as the tools needed for the hardscape installation. I have also seen this first hand while consulting and training other contractors around the country. If you want to be successful and keep your crew happy and efficient you need to pay really close attention to those tools and equipment specifically made for the hardscape industry. 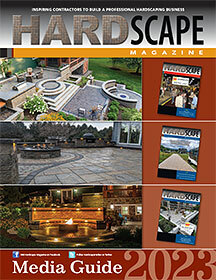 Check out the websites for the various companies that specialize in hardscape tools and equipment. Well I am here to tell you, that one piece of equipment can replace 3 to 5 crewmembers moving materials by hand. Using that cart frees up your crew to work on other tasks. The paver cart will never call in sick, go home early or get tired. And the person using it likes it because they see the benefit of not manually lifting every paver by hand. An added bonus is that your jobsite will be safer with less back strains, and sore muscles, hopefully your Workers’ Comp claims decrease and your “mod rate” decreases and you save money on insurance and reduce jobsite injuries. Believe me, if you want to become efficient with your current workforce I cannot stress enough how important the investment in those tools and equipment are. I would first spend $50,000 on tools and training for my current workforce rather than hiring that one special person that you think is going to turn your company around. Before you start using a new installation tool, get with your crew and show them the proper techniques and tricks for using it. Another note, the proper equipment doesn’t do any good if it isn’t in peak working order. Spend time cleaning, organizing and maintaining tools and equipment so it’s ready to go when it’s needed on the jobsite. I like to compare our hardscape trailers to fire trucks. When the fire department shows up to a fire you don’t see them digging thru the back of the truck for the fire hose nozzle, trying to untangle the hose and looking for the water key to turn the hydrant on. You don’t see them driving back to the firehouse to grab a demo saw or ladder. Everything they have on that truck is in perfect working order. It has to be because lives are at stake. In your case, your business profits are at stake. After the firemen they get back to the firehouse everything is inspected, repaired and documented. Then they put everything back in its place ready for the next event. Make a point to invest in the tools and equipment specifically designed for hardscape installation, and keep them maintained and organized. If at all possible, separate and store your hardscape tools in a different location from other construction divisions you may have in your company. Designate an enclosed trailer that your crew can hook up and take to a jobsite rest assured that nothing is missing because it was taken to some other non-hardscape project or borrowed for something else. I also like enclosed trailers because they can be a giant billboard in the neighborhood you’re working in. 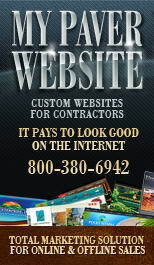 When homeowners see that trailer that shows what you do in addition to your website and phone number, you will get work from it. Create a plan of where you are going and how are you going to get there including how and when you’re going to train the various people in your company. Train your people, talk to them and let them have the opportunity to try new installation techniques and practice using the new tools and equipment. This will empower them. It’s critical that you use the right tools and equipment for the job. Before you hire that next person (which you probably can’t find anyway) call your local hardscape tool sales rep, compaction equipment dealer, tractor dealer, etc., and invest in those things that help your current labor force. These things are part of the secret to installing more projects with less people. 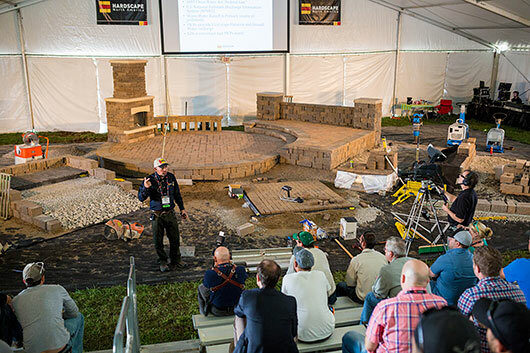 Frank Gandora CCPI is President of Creative Hardscape Company in Lakewood, CO. Frank is also a certified hardscape trainer and a regular seminar presenter at Hardscape North America.